Above photo courtesy of AmaWaterways. Click all of my photos below for much larger views. Roaming Boomers sailing with AmaWaterways on the River Rhine. I’ve been staring at my computer screen for well over an hour as I struggle with how to share our experience sailing with AmaWaterways. Don’t get me wrong, we loved the experience. But, it seems that if you use the word “review”, then there exists an expectation in the travel industry that you’re going to say that this river cruise line is better than that. What is the best deal on a river cruise. Therefore, we recommend first determining the region/itinerary that best suites your desires, and then sort out which flavor of the available river cruise lines best suites your travel style. And of course, we’re here to help you sort that out. This was our fourth river cruise. So far, we sailed with Uniworld, twice with Viking, and now with AmaWaterways. And, we’ve sailed the Rhine, the Danube, and the rivers in both of the wine regions in southern France. AmaWaterways just might be the perfect blend of luxury, value, comfort, and experience. You might ask, “which was your favorite?” Frankly, I don’t have an answer. They were all wonderful experiences, and perhaps best differentiated as different flavors. 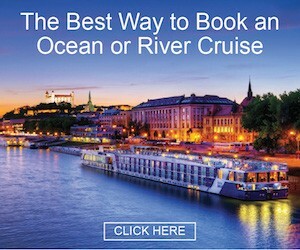 Further, we’ve helped hundreds and hundreds of folks book river cruises over the years (on all of the major river cruise lines) and they’ve all, with rare exceptions, come back happy and wanting to go again. In my humble opinion, all of the popular river cruise lines start at, let’s say 4-star. And because there are passengers who enjoy different levels of luxury, there are river cruise lines that cater to those who desire a little more pampering aboard ship, and therefore, some have butlers, some have extravagant interior design, some belong to world-renowned culinary societies, some have more suites than others, and some have very high staff-to-passenger ratios. I suppose, if you forced me to put a star on our AmaWaterways experience, I would call it a 4.5-star experience. While we didn’t have butlers waiting to serve our every need, I also think that AmaWaterways was a step above some of the river cruise lines that I might be inclined to call a 4-star experience. Again, what I call the 4-star river cruise lines are very nice. AmaWaterways, in our opinion, is simply a step above. So, for some, AmaWaterways just might be the perfect blend of luxury, value, comfort, and experience. I suspect Goldilocks might say, “This is perfect. Not too spartan, yet not too swanky”. First Impressions: you never get a second chance to create a first impression. Therefore, river cruise lines have spent considerable time and money to make certain that your first impression is a good one. The staff is there with smiles, a glass of bubbly, and all ready to make certain that your cruise begins with a powerful first impression. Our first impressions with AmaWaterways were fabulous and we appreciated how welcome the staff made us in the first few minutes aboard. To read more about our first impressions and see more photos from our first steps aboard, click here. Our Stateroom – perhaps our second first impression (is there such a thing?) was when we walked into our stateroom. We were impressed. To learn more about our stateroom and see photos, click here. Note: click photo for a much larger view. Number of Passengers – the river cruise ships sailing the Rhine are predominantly all the same size. However, there is quite a difference in the number of passengers you’ll find on these ships from cruise line to cruise line. The AmaKristina accommodates 158 passengers where some cruise lines will pack north of 190 people on the same size ship. Having fewer passengers onboard gives everyone more elbow room, and you’ll really feel the difference in the dining room and the common areas. Pool, Hot Tub, Gym, and Spa – some river cruise companies have removed these resources as they are little used on river cruises. If you desire these amenities, they’re all available on AmaWaterways, and it allowed me to get a haircut when I first got onboard. Fine Dining – foodies are certain to enjoy the cuisine on AmaWaterways. While other cruise lines have wonderful cuisine, AmaWaterways has fabulous cuisine. In fact, AmaWaterways is proud to be the only river cruise line to be invited to join the La Chaîne des Rôtisseurs – a prestigious international culinary society. Wine Cruises – oenophiles will also be tickled to death with AmaWaterways as they host a plethora of wine cruises each year, replete with on-board wine experts hosting wine-tastings most days. Further, AmaWaterways was last year inducted the Connetablie de Guyenne, the third oldest vinous brotherhood in Bordeaux. The Chef’s Table – each night, AmaWaterways offers guests an included, by-reservation specialty restaurant called The Chef’s Table offering an absolutely fabulous wine-pairing meal with the chef cooking your meal in plain sight in a glass-enclosed kitchen. Shore Excursions – most river cruise lines include a city tour in each city. These are generally half-day morning tours, and most offer them in gentle walkers, active, and standard flavors. With AmaWaterways, however, you’ll many times have a variety of included shore excursion to choose from. For example, when we were docked in Manheim, we had the choice of a Heidelberg tour, a Heidelberg Philosophers’ Hike, or a completely different journey to Speyer. Plus, each ship has a fleet of complimentary bicycles, so you could simply bike off on your own, or join several regularly scheduled bicycle tours. Water Level Issues – high or low water levels can throw a monkey wrench into your dream river cruise. AmaWaterways likes to point out that while other cruise lines are busing you around Europe when water level issues occur, their specially designed ships, with low draft and specially designed bridges, are more likely to keep you sailing right along. Carol and I really enjoyed sailing the River Rhine with AmaWaterways. This journey allowed us to sample another of Europe’s great river regions, as well as sampling another well regarded river cruise line. AmaWaterways has garnered an impressive list of awards over the years, including “Best River Cruise Line” five years in a row at our annual Virtuoso Travel Week conference each year. Because of the long list of awards they’ve gathered each year, the recommendations of our peers, and the raving fan comments of our clients, and now our own personal experience, our confidence level with AmaWaterways continues to increase. If you’re looking for a river cruise line that is above the entry level river cruise companies, but don’t feel the need for your own personal butler, then we think AmaWaterways just might be the ticket for you. 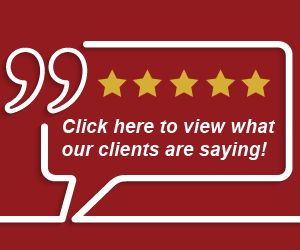 As I said above, we greatly enjoyed our experience and can recommend it with great confidence to you. To learn more about AmaWaterways, CLICK HERE. For more information, or to book your own fun AmaWaterways river cruise, call our travel agency office at (480) 550-1235, or use our convenient online information request form (click here) and we’ll reach out to you. PS – because of our affiliation with the $15 billion/year Virtuoso Travel Network, we generally have complimentary perks to share with you when you book AmaWaterways through our travel agency. Call us today! I nearly booked a no single supplement on the Douro River with Amawaterways this year. I decided I didn’t want to travel alone now so backed out. I am still interested in late August 2018 or so. Just not too easy with flying alone. Your comment echoed my own experience. AMAwaterways has some cruises that are no additional charge for solo travelers, thus there will be several solo people on those itineraries. Perhaps such cruises might be more appealing to you? You aren’t alone with flying either, planes are FULL! Just be sure you are a good walker. People who are not good walkers tend to have less than satisfactory experiences. Just seeing if you have sailed with the other River Cruise companies. Is there one that you would rate bettt for your money than others ? We have never been on a river cruise and are looking to book one for Dec. 18. We have enjoyed five river cruises with four different companies, and we’re currently on a quest to sail with all of the major companies. Frankly, all of the major reputable river cruise companies do a nice job. I think it’s best to consider the different companies as different flavors and therefore choose which flavor is best for you. Give me a call. I’m happy to discuss this further. Thanks for your review on AmaWaterways. My roommate and I are taking a river cruise this September 2018. Your review is very helpful. We booked through a different agency, but now know your agency is available, and we live in AZ. Your phone number was a give away 🙂 I have a couple questions I hope you can respond to. We are going from Amsterdam to Zurich on AmaWaterways Sep 3rd through the 14th. Did you feel safe while traveling through the countries along the Rhine river? And did you or anyone on the ship get sea sick? My roommate thinks I’m silly and should be fine. Thanks again for your review. Thanks for stopping by and adding to our conversation. If you’ve got a question, the chances are that someone else is wondering the same thing. In answer to your first question: while prudent awareness is recommended where ever you travel, you are going to feel very safe traveling through all of the countries along the Rhine. And secondly, you will feel no movement on a river cruise. In fact, many times the only way that you will realize that you are moving will be to look out the window. River cruises are very smooth and motion sickness is just not a thing to be concerned about. Thank you David, I appreciate the reply. I am looking so forward to this trip. Thanks again. We have made 4 river cruises with Amawaterways over the past few years. We have booked number 5 next July, taking our son, daughter in law and their 5 children on the Paris-Normandy Cruise. We have never had one complaint about Amawaterways. My wife and are thinking about the Classic Danube next July 2019…. Just returned from Oct22-29 AMAKristina-AMAStella Cruise. AMA Waterways went above and beyond what was expected. The crews on both ships were fantastic. No complaints. Cabins very nice. Food and beverages very good. Our cruise director stayed w us on both ships. This was great and it gave the passengers a feeling of continuity with a familiar person who by then knew us all. Due to unusually low water level our itinerary was slightly altered but we stayed cruising. We were happy with everything and seeing unexpected places was a great surprise. Do not hesitate to cruise w AMA. They take care of their passengers. My husband and I have booked our first river cruise for May 2019 with AMA. We will traveling from Zurich to Amsterdam. Both of us are active but my husband is very active. A little concerned he may get bored. Any suggestions on excursions? AMA Rhine ‘cruise’ (11/19/18)morphed into bus tour from Strasbourg to Antwerp avoiding most of the Rhine. Low water level was the reason they said but this was a ‘known unknown’ with no prior options available. The itinerary was not even remotely close to what I booked. Ama’s Response is deplorable! For those looking to travel solo, I did my first cruise on Ama in 2015 alone, took my daughter in 2017, and going alone again this fall. The size of the ship and attentiveness (STELLAR!) of all staff made this feel like more of a “gathering”. The layout of the lounge and dining room allow you to easily mingle and find people to hang with. I HIGHLY recommend this as an entry to traveling alone. Using Ama’s pre and post land tours should limit the arrival and departure fears about a foreign airport. My wife and I would like to take the cruise from Amsterdam to Budapest or the other way. We would like to fly from Ft. Myers, Florida and back. We also would like a room with glass doors with a railing. We would like to go in Sept. of 2019. Money is critical. What is the very best price you can give. Thank you.